For the last year Circles of Rhythm has been offering a therapeutic drumming program at a local women’s shelter. The women are not obligated to attend, so at times there are only two participants. Even when two women show up we carry on and have a lovely evening. The circle in July was special because we had five women attend, some returning and some new ladies! A staff person is always present during these sessions, to be support, to witness and to be there in case of emotional crisis. On this particular circle it was this support person’s third drum session with me, so she had witnessed and grown accustomed to drumming, and could see that these circles were very beneficial for the women. I just have to let you know that drumming group last night was awesome! It was everything a group should be and more! We had 5 participants. I actually had to turn one lady away because she was a last minute sign up and we couldn’t accommodate anymore children in childcare. The group was asked to choose 2 words to think about while drumming , something to discard in their lives and something they would like to receive in their lives. It was unanimous, the drumming themes were: “ getting rid of anger “ and “ bringing in the money”. Following that, each participant took a turn in being the “receiver”, in which one person sits in a chair and the rest of the group walks around them playing a drum or percussion instrument. The idea is to receive healing from the group. Afterwards each “receiver” spoke about what they felt. At the end of the drumming class a drum stick was placed in the middle of the floor and used as a “talking stick”. Each lady spoke about what they could do to bring more happiness into their lives. Finally we all stood in a circle , held hands and choose one word to describe how we were feeling, the words spoken were, “happy, good, and….. like skipping”. I cannot stress enough the positive and healing energy in the room. I know each lady felt it because they expressed it verbally. The group went 5 minutes over and the ladies still were not ready to leave. They left on an emotional high and wanting more. I feel deeply that the participation last night is evidence that our ladies can and will share in a group setting. I know all of us are trying to educate the ladies to “buy in” on why we run groups as part of our program, how trauma affects the brain and how these groups can be incredibly healing and fun. Is Circles of Rhythm A Good Thing? I wanted to drop you a line regarding the comment you made last night concerning someone or some community of people suggesting that you were not providing a good or valued service. Perhaps it was that you were not in keeping with some drumming “standard” as you did not elaborate on the matter too much. I found the thought of this deeply disturbing as this attack could not be further from the truth both for the organization and for you personally. Given the above I would like to share with you what you and your program means to me as it is not anything like the feedback you experienced from those others. I first encountered you and your drumming team at a workshop during the New Thought Conference in June and was amazed at how easily I was able to transform from a very anxious state to that of engagement with a group vibrating in energy as one. Not only did my anxiety subside to the point that I no longer wanted to “bolt” and leave the conference but I now felt a part of it and was much more comfortable with the entire group and individuals. The experience was transforming right in that moment and the lingering positive effects carried me through the entire 3 day conference. One of the other beautiful things was that there was a “knowing” positive energy between the participants of your drumming circle that shone in the eyes and sprit of those that experienced it along with me and that too was evident all weekend. Further to that initial experience I sought out your organization and found your Friday Evening Circle of Rhythm held in Inglewood and promptly began going to these every available Friday. These have become an integral part of my spiritual growth, personal emotional enhancement, addiction recovery and perhaps the most significant….a sense of actually belonging and fitting in with others. Your 2 hour session of drumming mixed with meditation and spiritual concepts is the perfect blend of powerful healing and growth energy, action and thought and each time I participate I am renewed, restored and energized in a way like no other activity I know of. This has become such an important component in my life that I have encouraged several friends and family to join me on Fridays and each time I am so rewarded to see that they too are able to both give and receive the magnificent gift that your drumming circle provides. Surely I speak the words of many souls in saying that you specifically and your team provide one of the most incredibly spiritually connective programs available. The evidence is so very clear to support this statement just by looking at ones neighbour while drumming or witnessing the deep moving energy of those in the healing circle, or the passion and sincerity of the drummers on the hand drums beating a rhythm of love and compassion for the benefit of others. To all the drummers on the path of life, thank-you for being a part of the change we wish to bring about in this world. 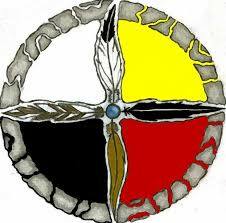 On June 15th and 16th I was asked to facilitate two drumming sessions for First Nations. The first circle was for all women and the second circle was for all men. The first day arrived and the women gathered to drum. There was apprehension at first but as the circle progressed the women became empowered and joyful. After each round of drumming there was such laughter and connection. It was playful and so present. The women really got to experience their community in a visceral way. At the end of the session we had a talking circle and the women really opened up about their personal stories, and how glad they were that they came. They all shared that the drumming was healing and a great stress reliever. The next day was the men’s circle. The difference in the way the men approached it was incredible! Such strength and power in their drumming, and all in unison! They were able to see and understand first hand that the drum connects them to their past, to their ancestors, and gets them to be present. The drum also helped them to connect to their future by sending and intention to their children. The circle was to honor all of the Father’s who were present and who have walked before them. It was a powerful gathering. Two very different circles, but the outcome was the same, people who come together to drum find exactly what they need! I was given the opportunity to bring a group of women together to facilitate a rhythm cradle evening for them. Some had drummed before, some had not, and two women had even participated in the Rhythm Cradle before. There were eight ladies present for the event and it happens with three rounds of giving and receiving support healing and nurturing from the group. They were numbered off for the three rounds and I knew during the last round there would only be two women to receive. I had a plan for the empty chair for round three. Rounds one and two came and went and then it was time for round three. Instead of removing the empty chair I said lets keep it there. I asked them to drum over that chair to represent everyone affected by the devastating fires at Fort Mac. It gave them a chance to do something, like a prayer in action. We silenced the drumming and began the hands on giving of support. We all continued to send our intentions to that space on the empty chair. Our compassion as a group was there in its fullest not only for the women who were receiving, but also for the space we created to send our love to Fort Mac people. At the end of the drumming we had a sharing circle. One of the women said how precious the action of drumming over the empty chair was for her. She expressed how sad and heavy she had been feeling to see the loss and struggle of her fellow Albertans. The action of drumming gave her a way to process the feelings she had been having. Find ways to take action! Teachers and staff came together at their Professional Development day with a drum circle. Many of them had no idea what to expect when they came into it. How could drumming be a way to Wellness? Also how could drumming be an effective way to demonstrate a sense of team? As the time progressed the answers started to become clear. They were drumming so well together, listening to one another, playing together, speeding up and slowing down together, and recognizing that each of them had an important role to play in the group, even the tiniest egg shakers. Everyone’s ‘voice’ matters, and they needed to listen to one another to make their group song. All levels of musicality were respected, from the beginners, to the experienced drummers, and each person felt heard and valued. They were given an opportunity to lead one another, and this really demonstrated their unique personalities and approach to leadership. Not to mention that this was a great time, full of engagement and camaraderie. All of these elements are the same key elements that it takes to be a part of a successful team. 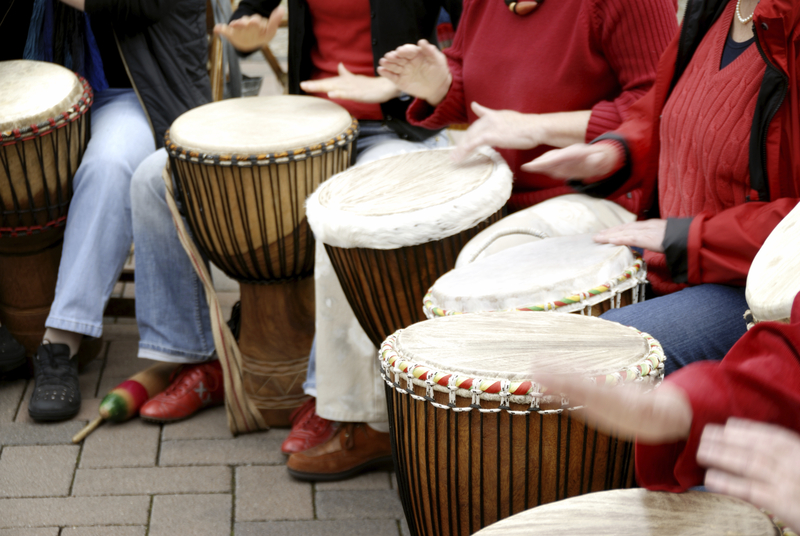 Find out what messages the drum circle has for your team, and how it could benefit them! If you have a workplace that would like to drum contact us today! A new study in the UK lends credibility to the use of the Healing Drum Circle as a tool for reduction of anxiety, depression and social resilience and inflammatory immune response in mental health patients. We are now offering training for this powerful therapeutic tool. If you want to add this to your professional tool belt, give us a call. What makes a successful Drum Circle? I run a regular drumming program for adults with disabilities and have had some of the participants coming regularly for over a year. Yesterday (April 11th) we had our first of a nine week session and I asked the group to tell me some of the reasons why they like the drum circle. Many great answers came up, one lady said she likes the drumming program because it helps her with her anxiety. Another man said, “You guys are like my other family.” That one nearly brought tears to my eyes. 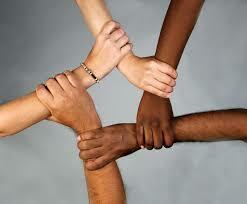 They feel equal, heard, valued, and respected in the one hour session we create together each week. As their facilitator, I focus on what is going well in the circle, and celebrate the things that are going right, instead of seeing the misbeats as mistakes. They all bring their best effort, and some of them never actually play on beat, but that is not why we are there! My heart was so pleased to hear her say that!!! A truly great day of drumming! Most people do not have and answer to that question as it is their first time drumming let alone in a circle of people! At the end of a drum circle my hope is that they have an answer to the question, and they decide to return to a drum circle again. The answers can be as varied as the people who show up. At the first drum circle a person experiences they may have one answer such as ‘this could be a fun time’! But if they choose to attend once again their answer may change. Drumming has the power to literally impact all areas of your life, especially in community. It is a way to bring about a sense of well being and harmony inside and out. Regular drumming can certainly become a practice for people to integrate into their life to bring balance, stress relief and even peace. Not to mention the original answer, pure fun! On April 3rd I was able to bring people together for a drumming experience called the Rhythm Lodge. I asked people to introduce themselves and tell us what brought them to the event. Answers were so varied: for friendship, community, healing, and even to have an experience that would help to bring a sense of grounding and getting right into the body. It was a great experience to share with these people, and each of the participants was able to find what they were looking for, and maybe find some things they did not expect! It is always so special when people are surprised at what can happen. A close friend of mine has found the drumming to be instrumental in his life. There are many individuals that find their way to a drum circle that have had their entire life affected in a positive way. The rhythm has rippled out to influence all aspects of their life, mental, emotional, physical, and even spiritual. It will take a person as far as they would like to go! So, Why do YOU drum? ALL OVER THE WORLD, every year on March 19, 20 or 21, depending on where you are on the earth, day and night are equal! I love this because it is a visceral experience of our equality. In a drum circle two of the most important ingredients to its success are sitting in a circle to indicate our equality, and contributing our unique rhythms from our individuality. All humans are made of equal value, and uniquely created to be ourselves contributing to the whole. We all have gifts and unique ways to experience our authentic JOY while here on earth. I have come to believe that our purpose here is quite simple; it is to be ourselves, to experience as much authentic joy as we can, to be happy, and in doing that we are automatically of service to mankind, and to our mother earth as well. When I’m happy, I am doing what I do best, and that is offering my best to the world. What could be a better purpose than that! No, this is not selfish, it is smart. I know you can’t always be doing exactly what you love, the dishes still need to be washed and the ditches dug. But, if you love home and family, or being in nature, these two tasks can actually be joyful while contributing to what needs to be done to make this world work! The equinox is also about new beginnings. Like a seed planted, it needs moisture, nutrients and sunlight to germinate and grow. What in you is being planted right now. How are you going to water, feed it to help it to grow? Go outside on Saturday and enjoy the equality of the daylight, and the moonlight, and be grateful for every human being on this earth and the uniqueness they bring. Celebrate your uniqueness and the diversity of what we all contribute to this world. In these times of upheaval and change we need ways to connect not separate, to celebrate now berate. Meditate on what is being planted in you this spring, and reflect on how you are going to take good care of that new idea so that it can grow and become your gift to the world, and your unique expression. Joy will naturally be the outcome. Come drum when you can, regularly to be reminded that your joy is your purpose! Here are some facts on the equinox for you science lovers! 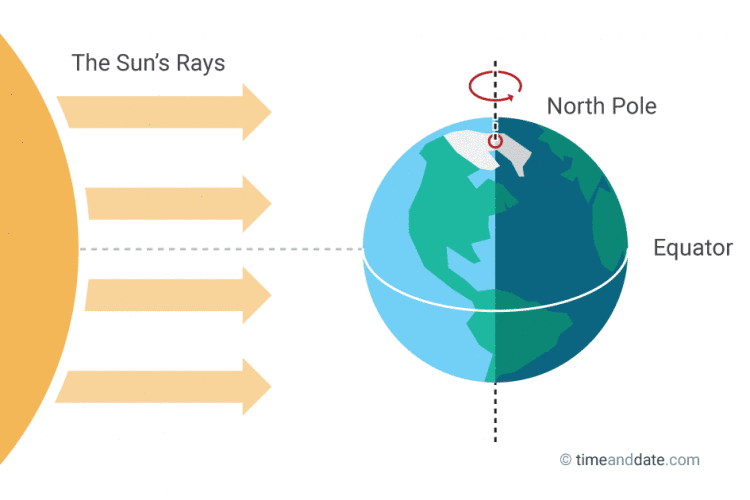 Why is it Called “Equinox”? On the equinox, night and day are nearly exactly the same length – 12 hours – all over the world. This is the reason it’s called an “equinox”, derived from Latin, meaning “equal night”. However, in reality equinoxes don’t have exactly 12 hours of daylight. What Happens on the Equinox? The Earth’s axis is always tilted at an angle of about 23.4° in relation to the ecliptic, the imaginary plane created by the Earth’s path around the Sun. On any other day of the year, either the Southern Hemisphere or the Northern Hemisphere tilts a litte towards the Sun. But on the two equinoxes, the tilt of the Earth’s axis is perpendicular to the Sun’s rays. The March equinox has long been celebrated as a time of rebirth in the Northern Hemisphere. Many cultures celebrate spring festivals and holidays around the March equinox, like Easter and Passover. I had the honor of drumming with some Japanese students on their visit to Canada. Twelve drum circles over the course of three days. Intense! Each group was a class of 25 students all learning the English language. They were visiting Canada and came out to Canmore area to spend time in the Canadian Rockies. They spent one of their days out at Boundary Ranch and were able to participate in four amazing experiences. Dream catcher making, dog sledding, snow shoeing and a drum circle! The drum circle was a highlight of their time, for both myself and them. Each group had their own gifts to bring to the circle, but as the workshops went on I began to notice and appreciate the culture of the Japanese people. Some of the things I noticed were, a deep respectful nature, a real focus on attention to detail, and getting the rhythms just right, and how the girls played so softly, and the boys played as loud as they could! By the end of the circles they were having so much fun and really getting into the synergy of drumming together. On the last day the youth were clearly all needing some space to just relax, they had been having such a full week already. The first group to come through was practically falling asleep on their drums! I was thinking that the rest of the groups would be the same. But you can never really know what to expect, so I stayed open for the next group. To my surprise they were FULL of zest! This group absolutely loved the drum circle. They loved it so much that they asked to come back on their lunch break to have a spontaneous drum circle. I let them get into it on their own, without facilitation. This spontaneous drumming was so joyful and free, and it was exactly what any facilitator hopes to see. They were using all the skills I had shown them in their facilitated drum circle, and it drew a crowd of the other students to share in the joy. Our drum circles are not specific to one culture, and it really shows that everyone in the human race can come together with the drum, it is a language all on its own. We overcame the boundary of language, and created true communication without words. We created such a memorable experience for these teens, that they will bring back and remember for the rest of their lives. I am so excited to work with them again next year already! !